Consistently restful sleep is one of the most overlooked yet crucial ways in which our bodies regenerate our immune system. Sleep restores, renews, and protects each cell in this wondrous community of cells. Have you ever noticed, when you have a serious cold or the flu, how going to bed and getting a lot of sleep helps to rejuvenate your body so it recovers more quickly? By the same token, if you have a serious illness and are unable to sleep for more than a few hours at a time, recovery seems much slower and the resulting fatigue feels more debilitating. A sleep-deprivation study conducted at the University of Chicago, published in the Journal of the American Medical Association, employed male and female athlete volunteers in their early twenties. They were permitted to sleep only four hours per night during a seven-day period. After a mere twenty- eight hours of lost normal sleep, they began manifesting the levels of mental and physical functioning typically seen in the average seventy-five-year-old. All of the bodily systems, especially immunity, degenerated. Over a six-year period, a study by the American Cancer Society evaluated the health-promoting and health-damaging habits of one million people. This extensive study revealed that the highest mortality rates- for all age groups- occurred among those who slept four hours or less per night and those who slept nine or more hours per night. 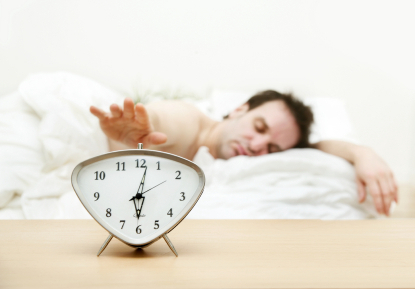 The lowest mortality rate was among those who got eight hours of uninterrupted sleep per night. We at Hippocrates Health Institute consider sleep-in conjunction with a positive attitude, the consumption of raw living food, and consistent exercise- to me essential life force ingredients for health. Our research has led us to modify our position regarding the use of sleep aids. If you have diligently pursued some form of meditation, prayer, contemplation, or other relaxation techniques, and have still been unable to sleep restfully, we recommend trying some of the Asian herbal formulas that are on the market. If those fail, then as a last resort we recommend the temporary use of prescription medicines, which, despite their potential side effects, are preferable to the devastating effects on immunity of long-term sleep loss. The ideal pattern of sleep is to retire shortly after sundown and arise shortly after sunrise. A brief midday nap-the siesta- can be beneficial in further recharging the immune system. The lengthy list of celebrated afternoon nappers includes Thomas Edison, Buckminster Fuller, Mahatma Gandhi, and Albert Einstein. Unfortunately, given our high-speed lifestyles and work routines, many people can aspire to these respites only on weekends or special occasions.